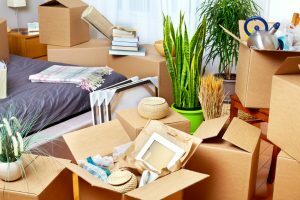 Extra Moving Services in Murfreesboro- How do you charge? What do you consider to be extra moving services in Murfreesboro, and how do you charge for those? Things that may cost extra beyond the packing would be crating of artwork, crating of marble tops, work of that sort. Those are charged depending on the size of those crates. We also don’t unhook washers, dryers, ice makers, anything like that. However, we do have a third-party service here in Murfreesboro that we work with that they will come in and do that for us and then just charge the customer based off of that. That way, they have the liability of coverage if something happened (like a leak), they would cover that. That’s the main reason we don’t get into those services because of the liability. Storage would be another item that we would do, and it’s based off of the time that you’re in storage. Then, the warehouse handling and coming and going might have an additional charge. What about pianos? Is there any extra charge to move those? If it’s just a piano by itself, it’s usually a set price. It depends on stairs and the accessibility and what size the piano is. But as part of a move itself, we typically do not charge additional costs for those, if it’s part of a bigger move.